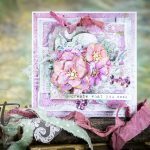 Hello Friends, I’m so excited to share with you my new collection of cutting dies called “Blooming Garden” by Spellbinders. 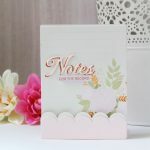 This collection consists of 10 new die sets for making gift boxes, baskets, also flowers, doilies and swirls for decorating and embellish your all occasion cards. 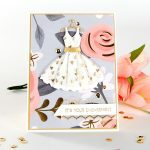 My card here is featuring Top Floral Panel, Especially Made For You and Blooming Rose. 1. 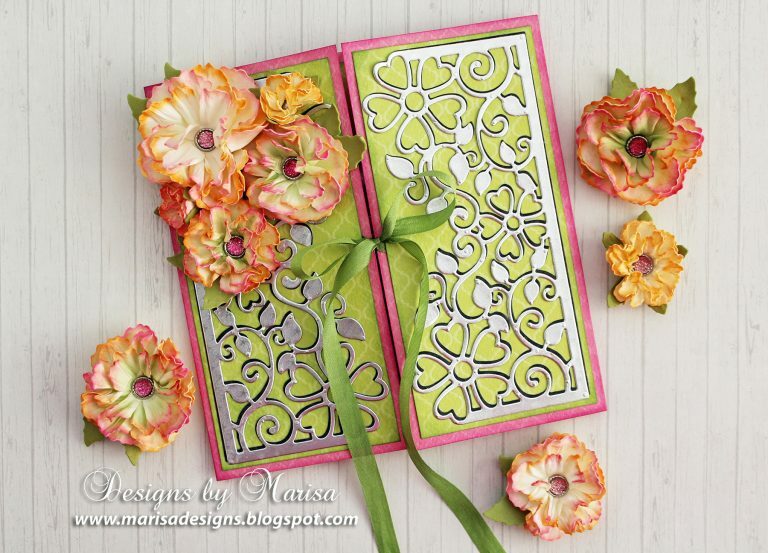 To create card base cut a 5 ½” x 11” piece of pink cardstock. Score at 2 ¾” and 8 ¼”. 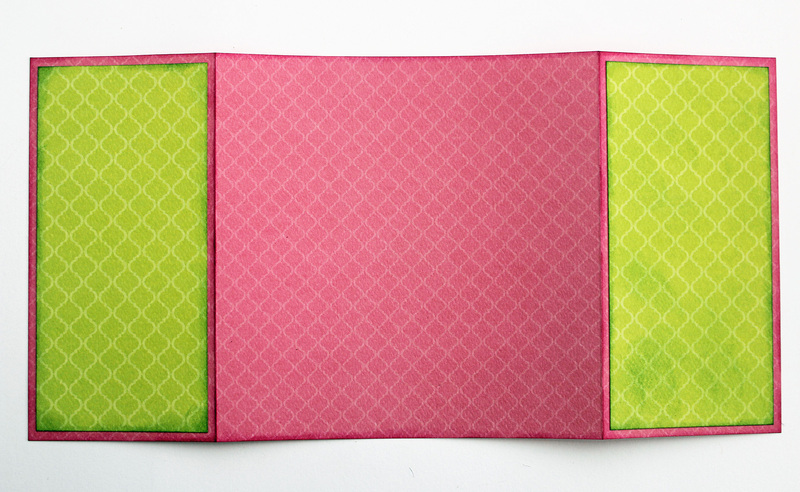 Fold to create a 5 ½” square center fold card. 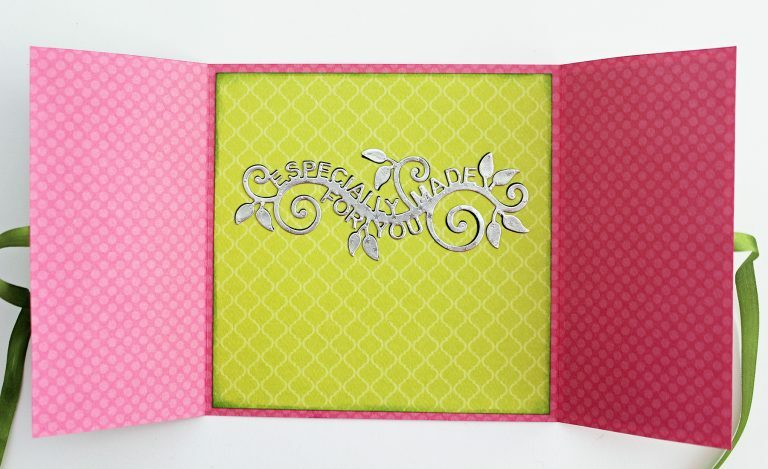 Cut 2 panels from green cardstock measuring 2 ½” x 5 ¼”, adhere to front of the card. You can also tape green silk ribbon to card base before adhering green panels. 2. 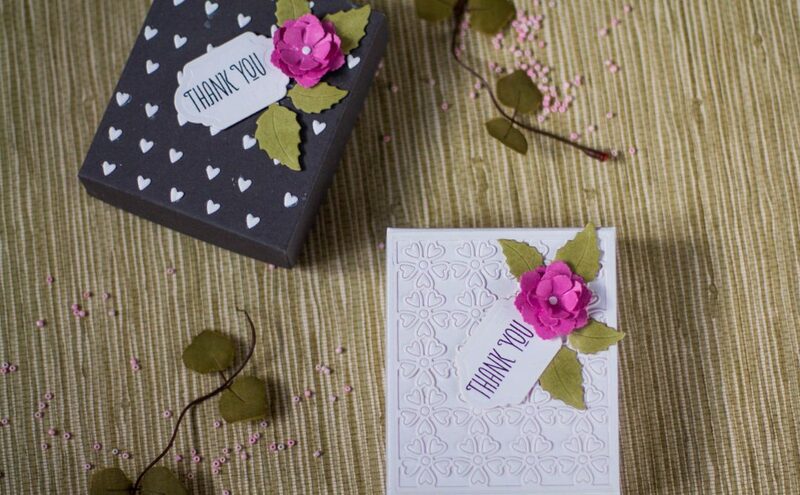 Apply double sided adhesive sheet to silver foiled paper. Die cut 2 decorative panels using Top Floral Panel from silver foiled paper. 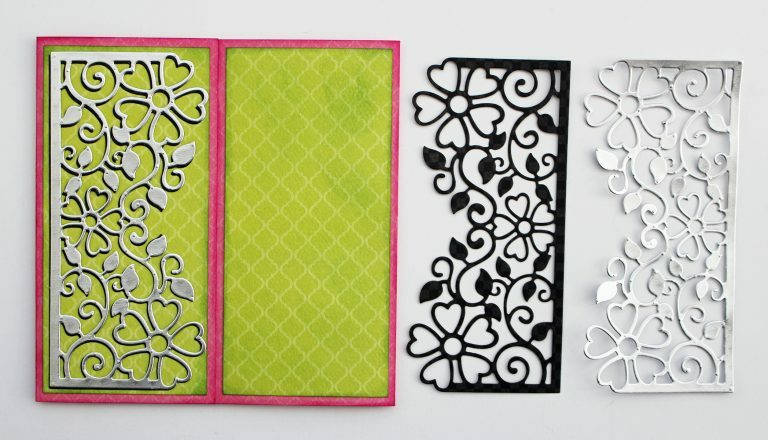 Die cut 2 more decorative panels from black cardstock. 3. 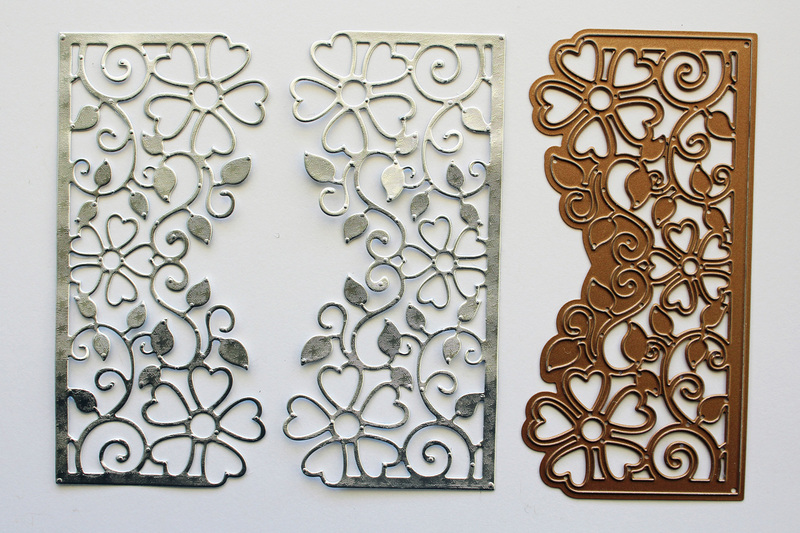 Adhere silver decorative panels to black panels by offsetting a bit and then glue to front of card. 4. Cut a 5 ¼” x 5 ¼” piece of green cardstock for the inside of card. 5. Die cut Especially Made For You from silver foiled paper and black cardstock. Adhere together offsetting a bit and then glue to center of card. 6. 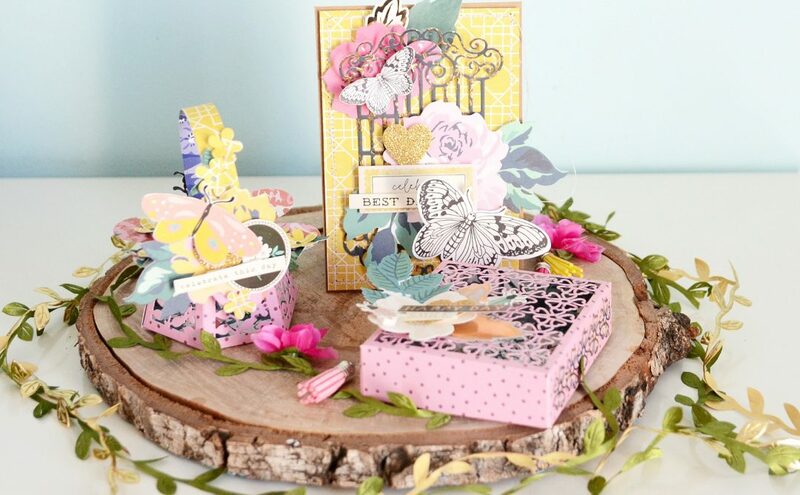 To make the flowers use Blooming Rose die set. 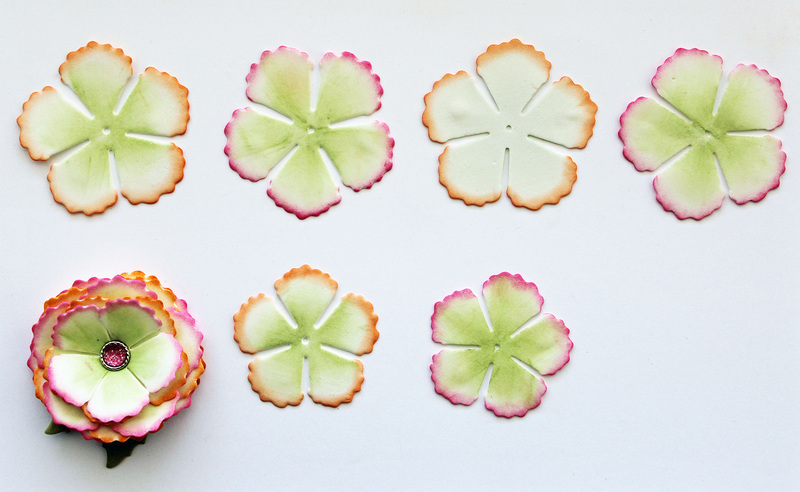 To make one complete flower you need to die cut 6 flowers total, 4 flowers of the same size and 2 flowers of the next smaller size from white Foamiran sheet. Die cut leaves from green Foamiran. I love to use Foamiran for making flowers because you can die cut 4 layers of Foamiran at one time and they are very easy to shape with a heat tool. 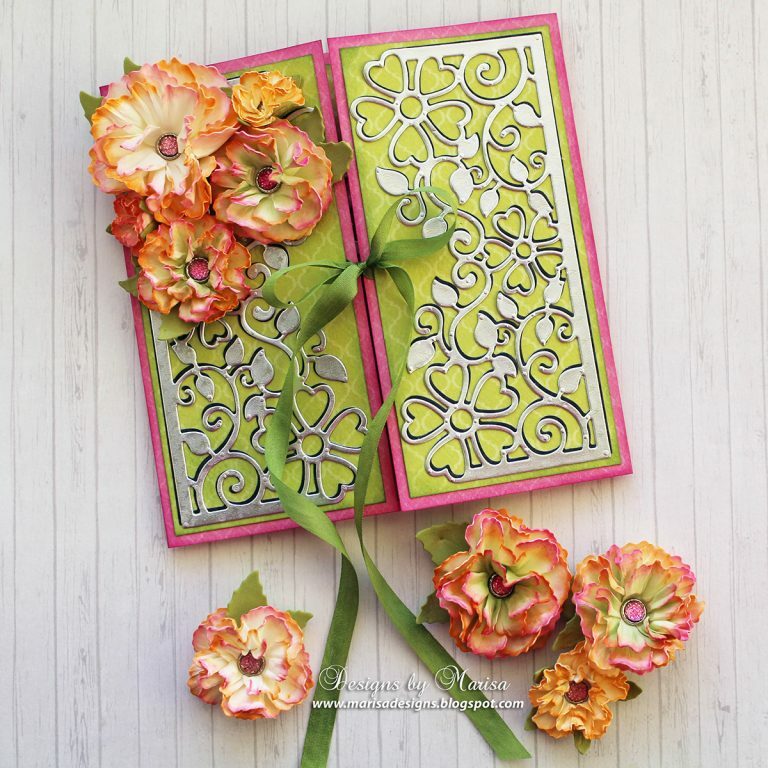 Color edges of flowers with chalk inks and foam applicator as pictured below. 7. 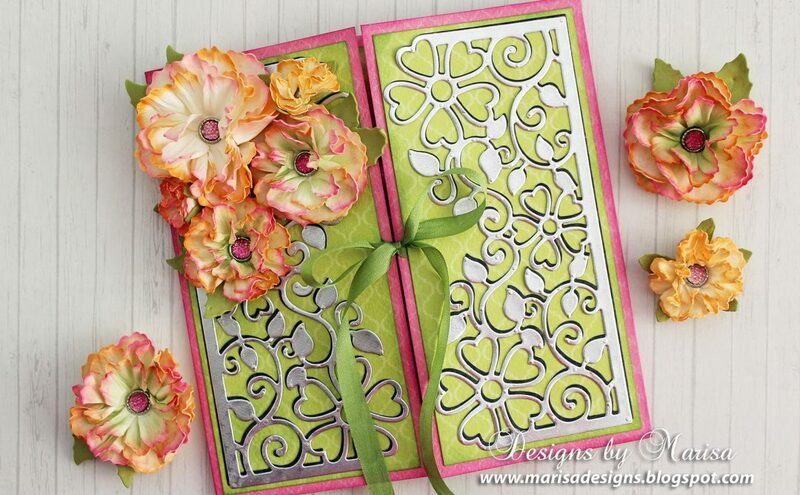 Layer flower petals and leaves together and secure with a brad using the center holes of each flower. 8. 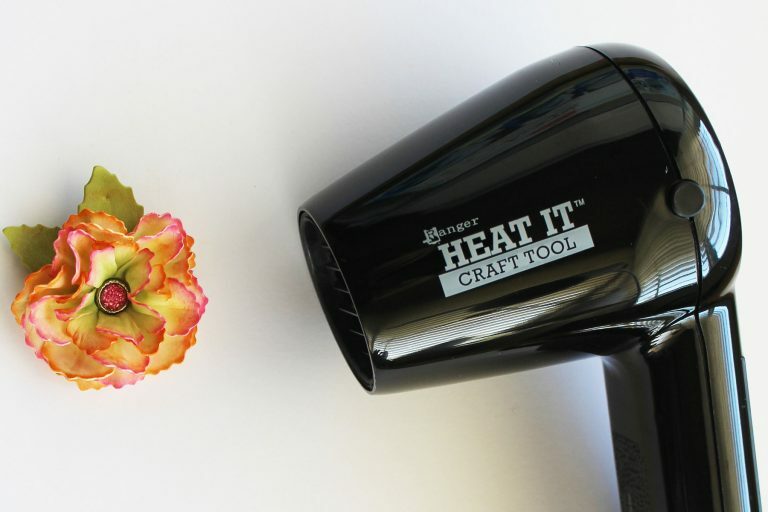 Using a heat tool, warm flower petals for a few seconds, the petals will begin to shape and curl up. 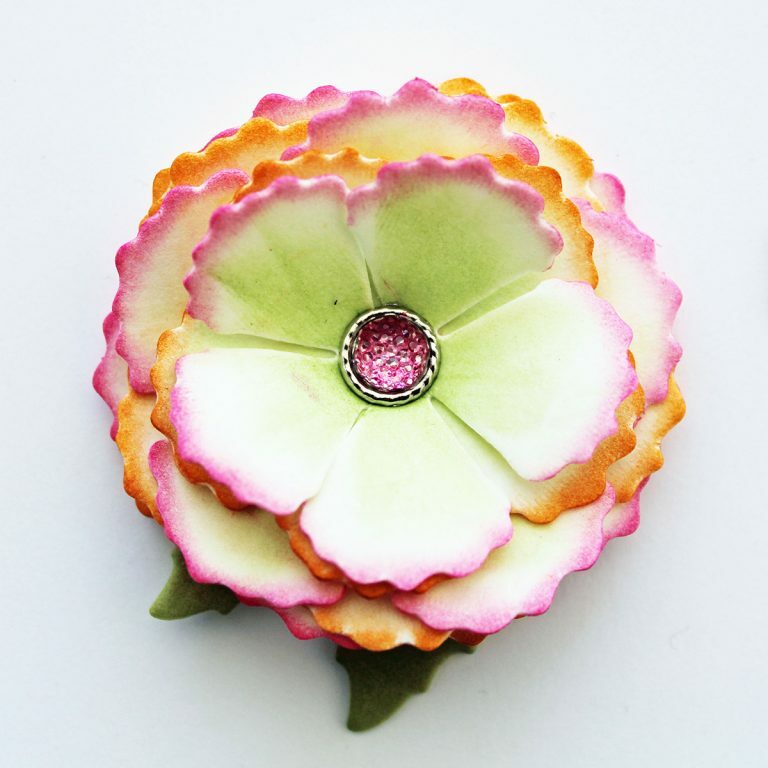 For a more textured flower you can squeeze and twist flower gently when it is still warm and then open petals to shape flower. 9. 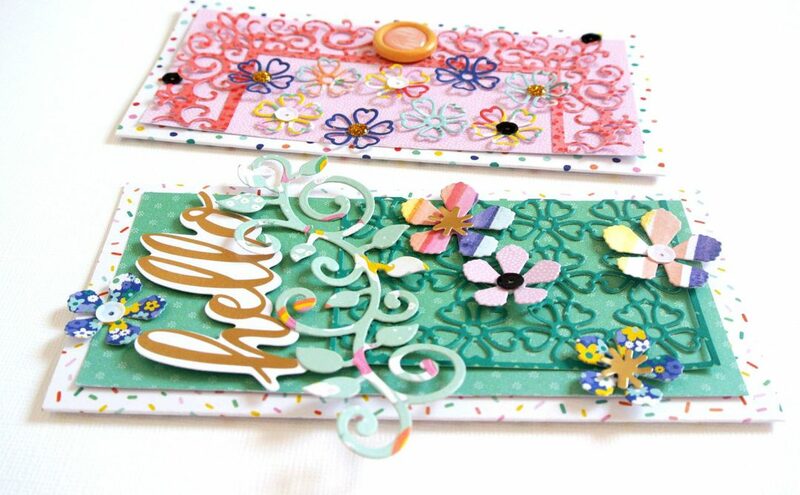 Adhere flowers and leaves to card using a hot glue gun. 10. Close card with silk ribbon. Authentique Paper – Spectrum Collection: Bubble Gum Two, Limeade Two and Black Jack Two; Rinea Double Sided Foiled Paper – Metallics Variety Pack; Eyelet Outlet – Stippled Jewel Brads; Scrapbook Adhesives by 3L – Adhesive Sheets; May Arts Silk Ribbon; Chalk Inks in pinks orange and green, Foamiran sheets in white and green; Hot Glue Gun. OMG, I must have this foamiran! My quest begins…. These are unique and beautiful. So may great ideas. 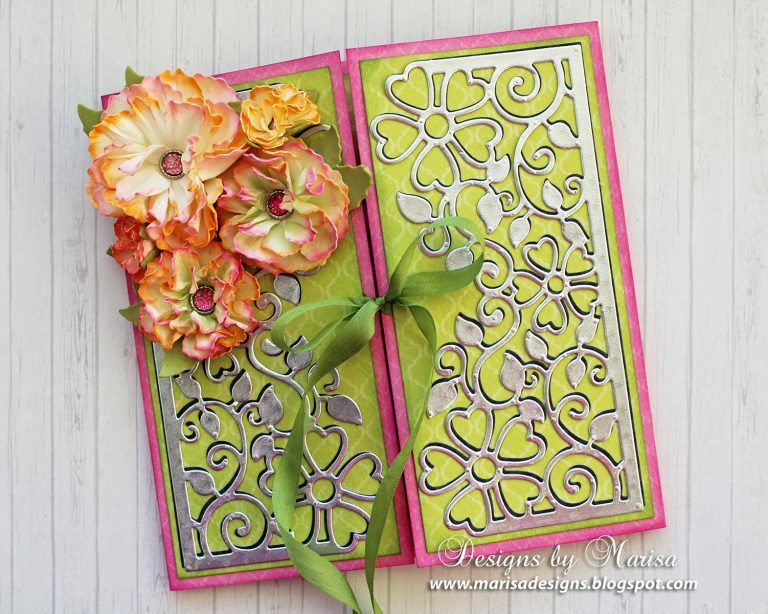 Marisa, am so pleased to see you back and LOVE your sweet card. These dies are gorgeous!!! 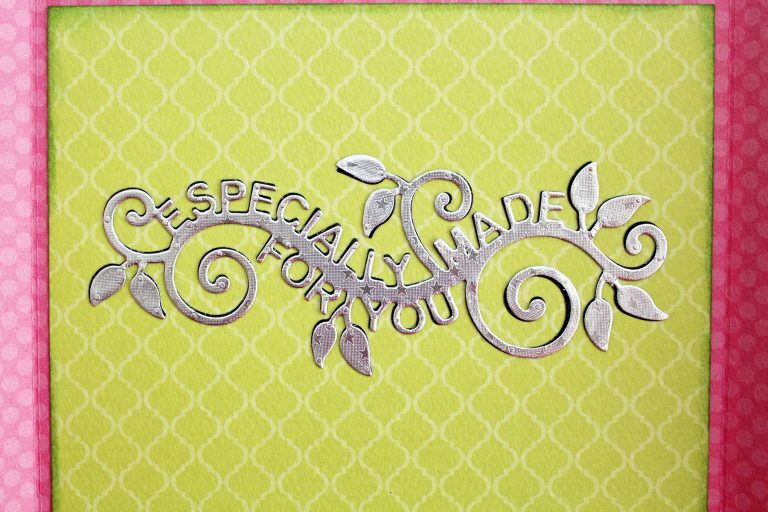 Love that you used all foil papers and think that really shows their beauty! Great idea to layer with black to add dimension as well! !